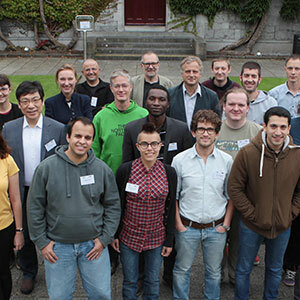 NUI Galway is the biggest and oldest university in the West of Ireland. We have been inspiring minds since 1845, and it gives us great pleasure to share our knowledge, passion and history with you while you visit our beautiful riverside campus. We are delighted to share with you below some of the campus curiosities and attractions on our University Trail, all of which are free and open to the public. 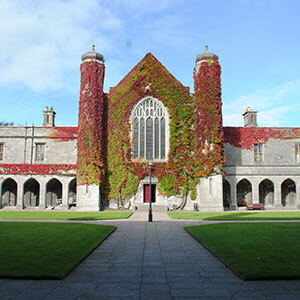 It all began with the construction of the Quadrangle building in 1845 on the edge of Galway city. Built in the Tudor Gothic style using local limestone, the Quadrangle is modelled on Christ Church College in Oxford. Walk through the Archway and get transported back in time to when the University first opened its doors with just 68 students! The great Aula Maxima straight ahead was the main lecture hall for decades, while the far left-hand corner was where past Presidents and their families lived until the 1970s. Under the Archway is the main University Reception, where you can find out about campus events and purchase NUI Galway gifts and merchandise. Nicknamed Galway’s ‘hidden museum’, our Geology museum is tucked away on the top floor of the Quadrangle. It houses a vast collection of over 15,000 fossils, rocks and gemstones from around the globe. The wood-panelled museum may be a throwback in time, but the collection is still as valuable as ever for our Earth and Ocean Sciences students and researchers. We have a distinguished reputation for geological research stretching back decades. In 1863, William King, our Professor of Geology, coined the term ‘Neanderthal man’. You don’t need to be a professor to enjoy the museum, however. All you need is an inquisitive mind and a sense of adventure! The University was founded by Royal Charter in 1845 from Queen Victoria as one of three Queen’s Colleges in Ireland, and you can still see traces of its royal roots. At the rear of the Quadrangle stands a large sculpture of the Royal Coat of Arms. Originally located on the pediment of the Galway Courthouse, the sculpture was removed during the Irish War of Independence and stored here for safekeeping. Today it is a relic of a bygone age. Nearby you’ll find a much more recent link to the University’s royal history. When Prince Charles and the Duchess of Cornwall came to Ireland in 2015, they planted an Irish oak to mark their historic visit to the University. You will also find a memorial garden nearby, dedicated to those Irish forces who have died while serving on peacekeeping duties with the United Nations. 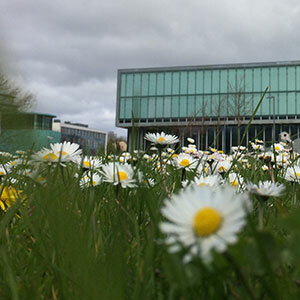 This museum is located in the Martin Ryan Building, the home of our Environmental, Marine and Energy research. The collection includes over 500 specimens of stuffed animals and skeletons – both native and exotic. Highlights include four genuine Charles Darwin specimens purchased from the Zoological Society of London, and a collection of over 100 rare ‘Blaschka models’, which are intricate glass representations of marine creatures. Children will love the fish tank at the entrance to the museum, where Nemo himself likes to go swimming! 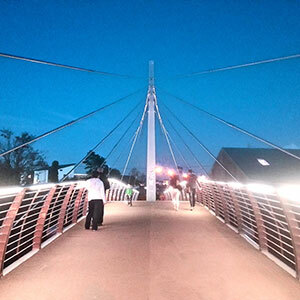 The O’Shaughnessy Bridge is a picturesque shortcut over the Eglinton Canal, connecting the University campus and Galway city centre. Built in 2012, it was named after graduate Michael O’Shaughnessy, the former Chief Engineer of San Francisco. He led the construction of some of the world’s most iconic engineering projects – including the Golden Gate bridge and San Francisco’s famous streetcar system. From the bridge you can see some engineering feats of our own. On the University side you’ll see the canals and locks used in Persse’s whiskey distillery, which was once Galway’s largest employer. Meanwhile, on the city side of the bridge, you can admire an old lime kiln located in what’s known as Fisheries Field. The lime produced here was used to disinfect the nearby fever hospital (now the Irish Centre for Human Rights) and gaol (now the site of the Galway’s Catholic Cathedral). One of the busiest places on campus, the James Hardiman Library boasts a collection of over 500,000 books. It is named after the University’s first librarian, James Hardiman, who published the definitive account of Galway’s history back in 1820. Located at the heart of the University, the Library is home to our growing collection of archives, which preserve the memory of some of Ireland’s most well-known figures and institutions, including Mary Robinson, John McGahern, Éamon de Buitléar, John Huston, and the Abbey Theatre. In the foyer outside the Library is an exhibition space that hosts a year-round programme of public exhibits on subjects as diverse as WB Yeats and wood turning! Entrance is free, so pop into the Library to find out what’s currently on display. OPENING HOURS: Core hours are 9am-5pm, Mon-Fri. Open Saturday and Sunday, as well as extended weekday opening hours, during term time only. Visit the Library website for more details. The University expanded rapidly in the 1970s and you can see that legacy in the modernist architecture from that era. The Arts/Science Concourse was designed by architect firm Scott Tallon Walker, who had designed some of Ireland’s most iconic modernist buildings, including Dublin’s Busáras and the RTÉ Television Centre. Scott Tallon Walker commissioned some of Ireland’s leading artists to create tapestries for the Concourse, and you can still admire the work of Patrick Scott, Cecil King, Patrick Heron and Roy Johnston today. Outside the Concourse is another modernist gem – the ‘Galway Yellow’ sculpture by Brian King. Affectionately called the ‘Big Yellow Thing’ by staff and students, it is a geometric interpretation of the Celtic knot, seamlessly joining modern and ancient aesthetics. 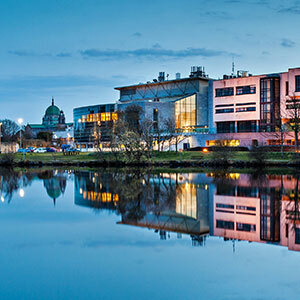 Our 105 hectare campus stretches along the River Corrib, with easy access to the riverside from anywhere in the University. Our Greenway path offers visitors a relaxing walk or cycle along the riverbank northwards to our playing fields in Dangan. 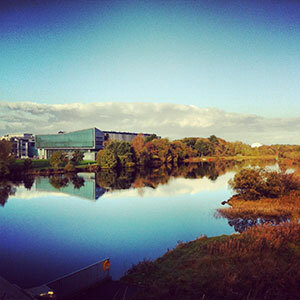 NUI Galway is Ireland’s most biodiverse university campus, so look out for birds, butterflies and otters in the area. From the path you can see Galway’s history in stone. In the south campus, look out for three limestone pillars in the water – all that remains of the original Victorian railway from Galway to Clifden. Further north, you can enjoy views across the river to Menlo castle, while on the campus side you will find the curious remains of the Martin Tea House folly. It was built in the early 19th century, when the campus grounds were home to the Martin family – one of the original ‘tribes’ of Galway. 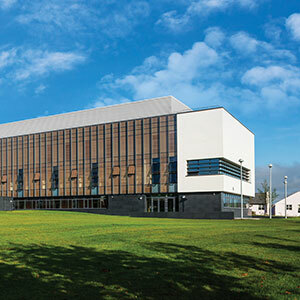 Ireland’s largest School of Engineering is located in an award-winning building named after Alice Perry, the first female Engineering graduate in Britain and Ireland. It includes screens and exposed areas in the building’s walls and floors that reveal secrets about its construction, materials and energy use. In this way, our students can see first-hand how modern buildings are constructed. On the ground floor corridor in the east of the building, the ‘Realised Vision’ exhibition tells the history of Irish engineering through a series of posters. Nearby you’ll see the former Franciscan college, St Anthony’s, which is part of the J. E. Cairnes School of Business and Economics today. Built in 1930, St Anthony’s contains a wood-panelled chapel that is used today as a lecture theatre. We don’t think of computers as historical artefacts, but as their design and technology advances over time it is fascinating to look back at the evolution of computing. The Computer and Communications Museum is the only one of its kind in Ireland. Located in the Insight Centre for Data Analytics on our North Campus, it has a vast array of iconic computers, such as the DEC PDP 11, the Apple II, the Sinclair ZX81 and the Commodore Vic-20. Visitors can also explore early radios, comics and science fiction posters, and have fun with vintage games like 'Space Invaders' and 'Pacman'. Whether you remember these gadgets or not, you’ll have lots of fun tracing the evolution of technology over the past 100 years. Pick up a printed copy of the University Trail at the Main Reception, underneath the Archway into the Quadrangle building. Look out for University prospectuses, gifts and merchandising while you're there!